The trip was great, and we have many memories, thank you. 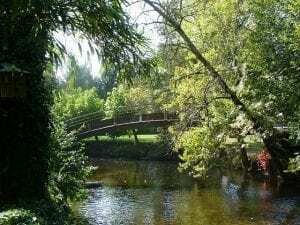 Looking forward to seeing your 2019 trips so we can get something booked Would definitely like to do Angouleme with you again. Thanks again for a great trip and do keep in touch, all the best"
"This is a rather belated email however I would like to thank you for a truly memorable tour to Angouleme. We had a great time thanks to your brilliant shepherding and the care you took to make the tour a success. The hotels and restaurants were excellent and you went out of your way to make sure that we all enjoyed the trip. I look forward to the opportunity to join you on another tour in the future.Thanks again and best regards"
"Brian , I would like to add my thanks for a great tour it was, as Peter commented, a great few days and I am currently in Paris telling all my colleagues what a great tour and fantastic racing in Angouleme.We would love to keep the in touch so we can join again." 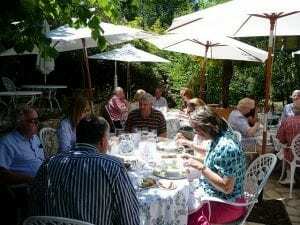 "Thank you for organising the trip which I thoroughly enjoyed as did David. Overnight outward ferry from Portsmouth to Ouistreham/Caen with reserved seats (We offer a cost reduction to participants who prefer to make their own ferry arrangements). Afternoon return ferry from Caen to Portsmouth with 2 reclining seats (We offer a cost reduction to participants who prefer to make their own ferry arrangements). Entry to places of interest eg.chateaux, museums,gardens,villas etc. Return ferry from Dover to Calais ( we offer a cost reduction to participants who prefer to make their own ferry arrangements). Spectator entry to Angoulême races including paddock passes and grandstand seats. Entry to places of interest, eg chateaux, gardens, museums etc. 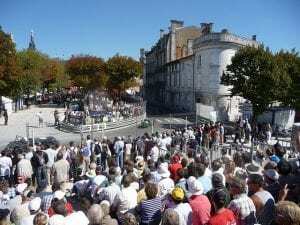 A 7day tour, incorporating a visit to the exciting 2019 Circuit des Remparts classic car races in Angoulême. The main tour starts with an afternoon ferry from Portsmouth to Ouistreham/Caen followed by an overnight stay in Ouistreham. Our route the next day takes us via the Pegasus bridge and Sees our morning coffee stop to our lunch stop in Arnages then onto Le Mans where we visit the 24 hours museum. 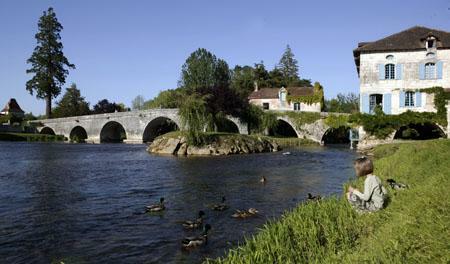 We then continue to our hotel in the Loire Valley. 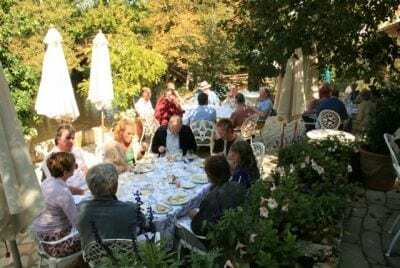 On the second day we take a scenic route south to the Dordogne via the Vienne valley where we enjoy lunch in Angles sur l'Anglin, one of France's most beautiful villages. After lunch we continue south to the Dordogne where our charming hotel for the next 4 nights is in the medieval village of Bourdeilles, just 5 miles down river from Brantome, one of France's prettiest towns.On Frirday morning we relax and explore the local area with an opportunity in the afternoon to drive up to Angouleme.to visit the Concours d'Elegance. On Saturday we visit Brantome and then drive to nearby Champagnac de Belair where we treat you to a wonderful gourmet lunch in the Moulin du Roc a stunning Michelin * restaurant and converted 16th century water mill that never fails to impress.After lunch we drive to Angoulême to watch the preparation for Sunday's street race which uses the same circuit along the old streets of this walled town that it did in 1939 when the "Circuit des Remparts" first started.We also drive a couple of laps around the circuit on Saturday afternoon, view the grandstand seating arrangements and visit the paddock to look at the cars.We then return to our hotel. 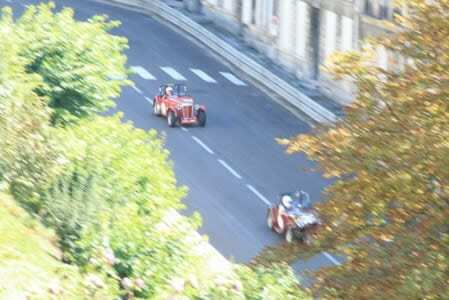 Early on Sunday morning we drive up to Angouleme to watch the exciting and nostalgic races in the historical town circuit. Tonight there is a celebratory dinner in our hotel .On Monday participants return back to Caen for the afternoon ferry to Portsmouth. 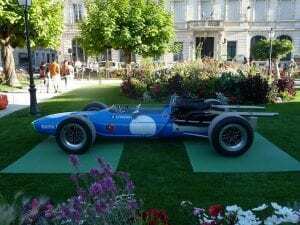 A 6 day tour, incorporating a visit to the exciting 2019 Circuit des Remparts classic car races in Angoulême. 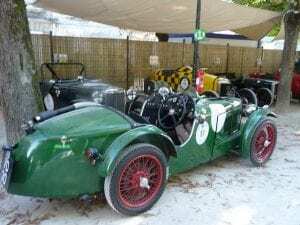 The tour starts with a Dover-Dunkirk ferry followed by a drive down to Le Mans where we join the main tour at the 24 hours museum.We then drive down to the Loire Valley where your accommodation is based in in a stylish Chambres d'Hote just 4 miles from the main tour hotel in the Loire Valley. 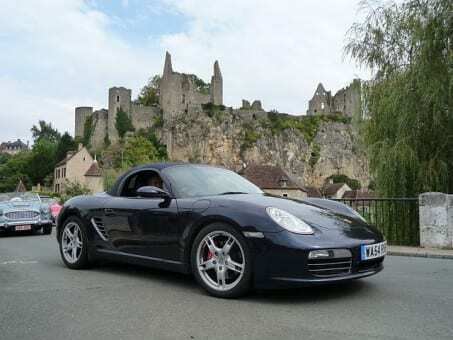 On the second day we take a scenic route south to the Dordogne via the Vienne valley where we enjoy lunch in Angles sur l'Anglin one of France's most beautiful villages. After lunch we continue south to the Dordogne where our accomodation for the next 4 nights is in the pretty medieval village of Bourdeilles in a stylish Chambres d'Hote just 300 yards from the main hotel.On Frirday morning we relax and explore the local area with an opportunity in the afternoon to drive up to Angouleme.to visit the Concours d'Elegance. On Saturday morning we visit Brantome before our lunch stop the Michelin * Moulin du Roc.After lunch we drive to Angoulême to watch the preparation for Sunday's street race which uses the same circuit along the old streets of this walled town that it did in 1939 when the "Circuit des Remparts" first started.We also drive a couple of laps around the circuit on Saturday afternoon, view the grandstand seating arrangements and visit the paddock to look at the cars.We then return to our hotel.On Sunday morning we drive up to Angouleme to watch the exciting and nostalgic races on the historical town circuit. On Monday you return back to Calais for a late afternoon/ early evening ferry to Dover. 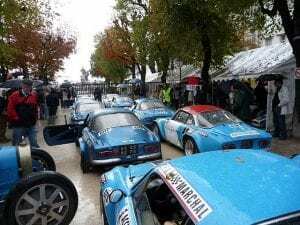 VIDEO OF A TVR GRANTURA RACING AT ANGOULEME . (on YouTube - opens in new window). 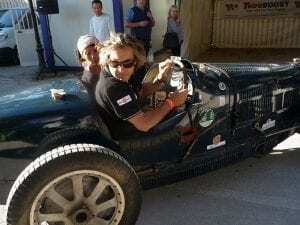 VIDEO OF DRIVING THE CIRCUIT FOLLOWING A JAGUAR SS100 (on YouTube - opens in new window). 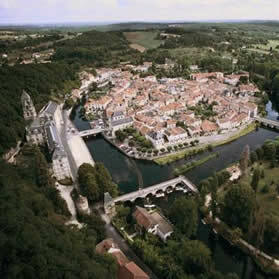 Situated some 70 miles to the north of Bordeaux, Angoulême is located in the heart of the Charente district with an attractive town centre and cathedral occupying the high point in front of which lies the start line for the racing. 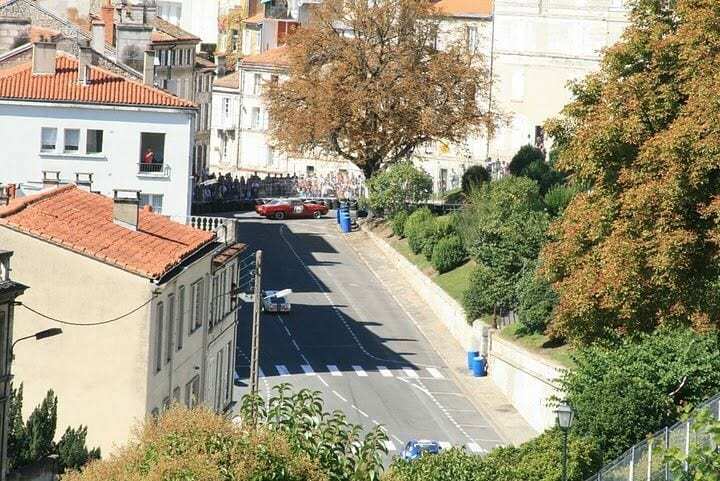 At Angoulême's centre is the ancient Cite des Valois ,with its ramparts or high walls surrounded by steep ascending and descending roadways which are closed off to create a very demanding street circuit. The combination of hairpin bends and fast straights leads to challenging driving and excitement for the spectators on this unique street circuit. The extremely close proximity of medieval buildings and solid stone walls enhance the drama as well as the danger and the roar of vintage exhausts resonating within the confines of the ancient streets is music to the ears. The races attract an impressive variety of grids: in the pre-war category there are racers including: Bugattis, Fraser Nash, Rileys and MG.s. 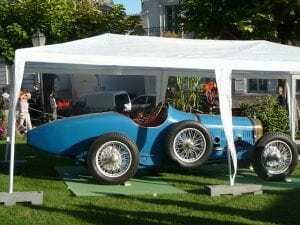 Post war categories include Porsche 911s,Formula Junior and GTcars including Renault Alpines, Lotus and TVRs. The meeting takes the form of an entire weekend festival beginning with a Concours d'Elegance under floodlights in a natural amphitheatre alongside the rampart walls on the Friday evening. 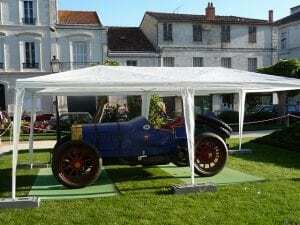 Saturday commences with the Rallye Touristique International with over 60 classic cars, nearly all pre 1971, competing.On Saturday and Sunday there will be an exhibition of 1939 cars on the lawns around the Hotel de Ville in the centre of town. Sunday morning opens with practice on the circuit for the afternoon's racing. And for new entrants it is the only opportunity to drive on the closed streets before being let loose in a race! 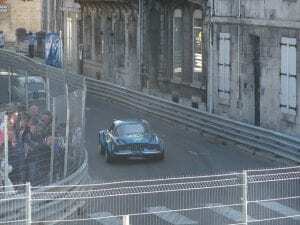 The Circuit des Remparts is a speed event organised in association with the ASA des Remparts (the Remparts car club), and the FFSA (French motor sport governing body). 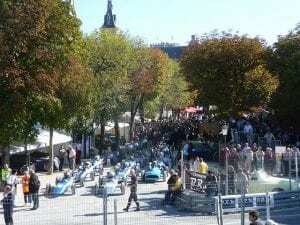 The track, in the heart of old Angoulême uses the rempart streets of the old city for a distance of 1.279 km (0.8miles), and has 2 curves, 2 right angle bends and 3 hairpins. This town track has not changed since the first event was held in 1939. The races and demonstrations all take place on one day. The morning sees the practice sessions and the races are in the afternoon. There are normally 8 grids and each practice session take 20mins. Positions on the grid are determined by practice times. From the winners' podium, in the centre of the track, the drivers are taken on a lap of honour in a classic convertible, driven by the President of ACOCRA (Jean-Rene Tillard). Our ferry leaves Portsmouth at 14.15 and arrives in Ouistreham/Caen at 21.30. Our hotel tonight is less than a mile from the ferry port. After breakfast we leave our hotel and drive 5 miles to the Pegasus bridge,Sees famous for its role during the 2nd world war.We then take the motorway south to Sees our morning coffee stop.We then continue to Arnage our lunch stop.After lunch we visit the nearby Le Mans 24 hours museum then drive on a scenic cross country route to the Loire Valley where our chateau hotel, Chateau de Rochecotte awaits us. Day 3 - Thursday September 12th St Patrice-Bourdeilles (approx 200 miles)After leaving our chateau hotel we continue south ,through Descartres, to La Roche Posay our coffee stop.We then continue south to Angles-sur-l'Anglin, one of France's "plus beaux villages" (see photos below) and our lunch stop at an auberge nestling under the ruins of an ancient chateau. After lunch we drive south to Chauvigny through the picturesque Vienne valley on minor roads into the Charente department through Confolens south into the Dordogne to the charming town of Brantôme, Bourdeilles, 5 miles down river from Brantome, is where our main hotel for the next three nights is based and this is a charming, 16th century converted moulin, (water mill) with its front entrance on a 16th century bridge overlooked by the chateau of Bourdeilles, (see photos below, our hotel is the large white building on the right). Dinner, tonight, is in a local restaurant. 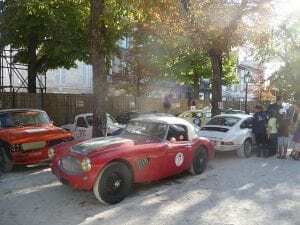 Day 4 - Friday September 13th Bourdeilles, local excursion ( 30 miles)On Friday morning we relax and explore the local area with an opportunity in the afternoon to drive up to Angouleme.to visit the Concours d'Elegance. 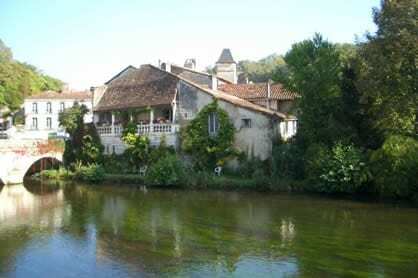 At mid-day we drive to nearby Champagnac de Belair where we enjoy lunch at a Michelin * restaurant, the Moulin du Roc, a converted walnut oil mill and one of the Dordogne's finest restaurants, nestling on the banks of the river Dronne,( see photos below). After lunch we drive north through the rolling countryside of the northern Dordogne to the Charente region where we continue up to Angoulême where we drive round the street circuit to be used for tomorrow's racing, view the cars in the Concours d'Elegance cars in the gardens of the Town Hall and visit the paddocks where many of the cars that will be racing will already be on display, ( see photos below). 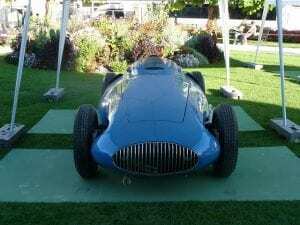 Included in the various classes there is always a Bugatti class comprising over a dozen Bugattis which is a sight for sore eyes and a spectacle to behold, ( see photos below). We can also watch the return of the classic car tourist rally at 5.00pm and explore the bars and restaurants as well as the town itself, the choice is yours! After our visit to Angouleme we return to our hotel. 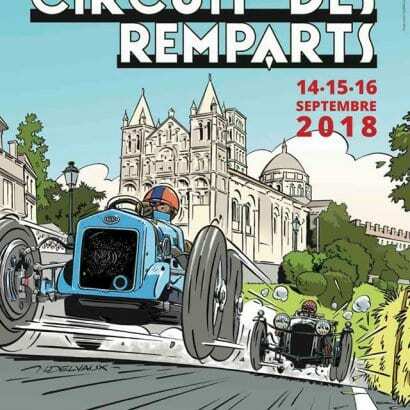 A full day spectating at the exciting 2019 'Circuit des Remparts Historic Races', where cars of all ages race around the narrow city streets with the start/finish line in front of the Cathedral steps. We leave our hotel at 7.30am and drive up to Angoulême to secure our parking places. On Sunday morning from 9.00am the cars practice for the afternoon's racing which starts at 2.00 pm and goes on till 6.00pm. We have reserved seats in the Carnot Grandstand which overlooks the paddocks and first bend of the cicuit, see views below. During the day you are free to walk around the track. 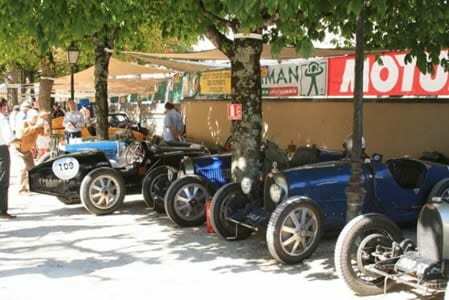 .After the excitement of the day's racing, return in your own time to our hotel in Bourdeilles. Our final dinner, tonight, is in a local restaurant. I'm sure we'll be back.You were brilliant guys, I expect you'll see us again ! 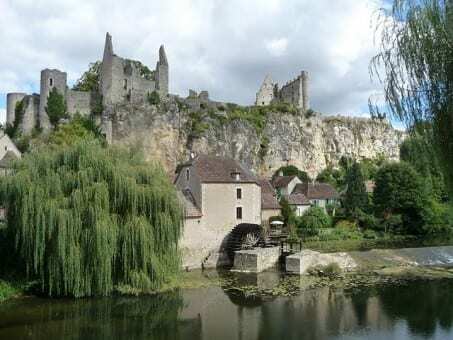 "Firstly, can I say that Jenny and I had a fantastic time on the tour, and as you said on our last night in Bourdeilles, everyone was so friendly.We are already thinking about next year so I am glad to hear that the dates are already on the website". "The whole trip was in my opinion one of the best I have ever enjoyed. 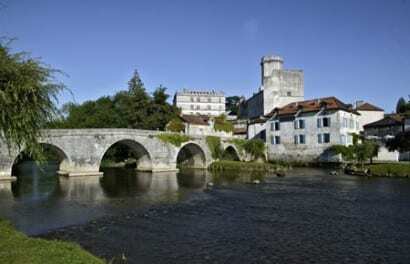 Angouleme is very special indeed, and the accommodation you arranged was truly excellent and beyond my expectations. Best of all was the super bunch of fellow participants. They were great to be with, and as mentioned before we parted, quite the friendliest group I have ever been with on such an event"
"Thanks so much for arranging last weekend at Angouleme for us. It was magic. Just as good as Le Mans Classic but completely different, possibly slightly better but I can’t decide!" "We all enjoyed your company on the Angouleme Circuit des Remparts tour Brian and hope to be able to join you on another tour"
"The holiday was terrific,it exceeded expectations.I look forward to participating in other tours in the future.Thanks for a great time"
As per main tour.When we arrive in Bourdeilles the Budget tour uses a charming bed and breakfast accommodation and you make your own dinner arrangements in the evening, although you are welcome to join the main tour and just pay for your meal. 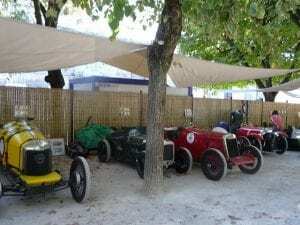 On Frirday morning we relax and explore the local area with an opportunity in the afternoon to drive up to Angouleme.to visit the Concours d'Elegance. As per main tour, but return to your accommodation in the evening. You make your own dinner arrangements in the evening, although you are welcome to join the main tour and just pay for your meal. You leave the Dordogne and head back on the motorway to Calais for an early evening ferry crossing to Dover.